What makes a house a home? If your answer is furniture, you are one smart cookie. Seriously though, think about it. Where would you hold those juicy conversations if you had no coffee table or where would you relax without that comfy couch? Would you even have kids without a bed? Even Jesus knew the importance of furniture; why else would he be a carpenter? If you’re from this century I bet your furniture is full of sensual curves with decorative twists and turns, right? Ever stopped to wonder how that work of art you call a cabinet came to be? If not I will enlighten you. A super convenient tool was used to hollow out planks of wood to achieve that sophisticated shape. What’s the tool you ask? It goes by the simple name wood router from its ability to rout out wood. Essentially wood routers are tools that are utilized to cut and shape wood for the functionality of furniture as well as decorative purposes. Think along the lines of threading your eyebrows, wood routers do the same to wood but at a grander scale. They have blades that revolve at a very high speed scraping off any and all wood in their way. Any skilled woodworker will have you know that without a wood router, furniture would be boring as hell. 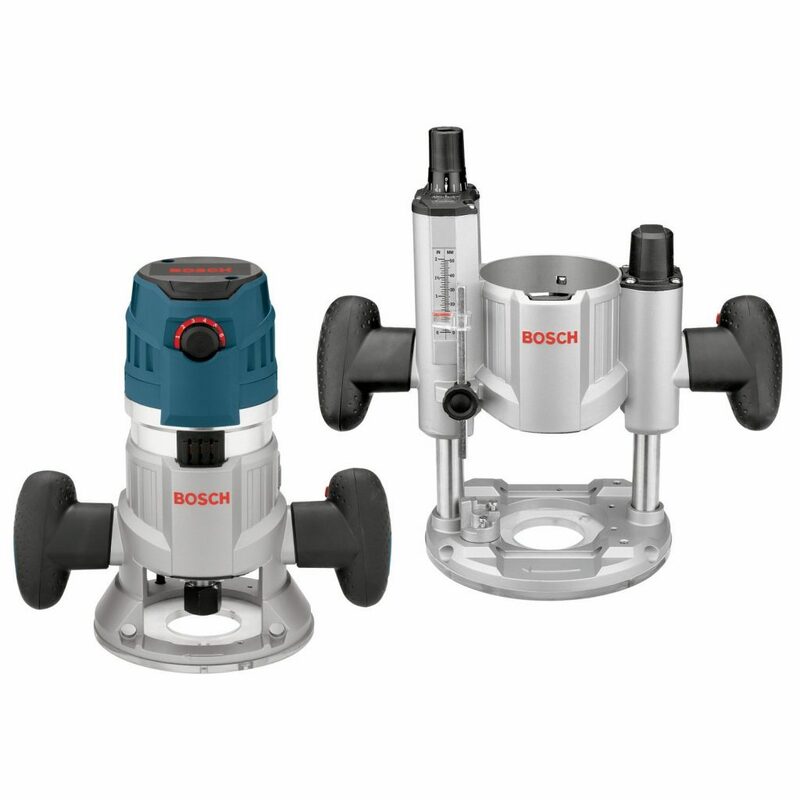 Bosch claim to be industry leaders in the woodworking industry and I’m inclined to believe them with this creation (Bosch 1617EVSPK) and hopefully, you will too. It’s masterfully crafted with Aluminum offering that polished look. A slippery grip is a big NO! NO! 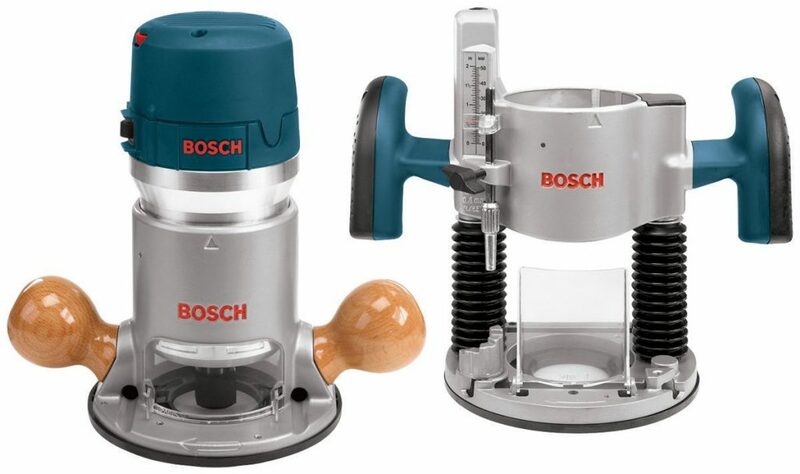 Bosch manufacturers seem to have gotten the memo since they invested in soft wooden grips to firm up your hold. Not even the increased tremors incurred when milling hard wood are a match for these grips. Consequently, your cut will not only be even but accurate too. It has a powerful motor that can literally cut through wood in the snap of a finger. An added perk is the soft start feature integrated into it. No one will take kindly to a startling noise once you power up your router, right? I for one prefer to be eased into the experience and the soft start feature has got you covered on that front. The fact that it needs two wrenches to change bits is not taken kindly by many. You’ll have to purchase a template guide adapter separately. This is a worthy purchase for newbies and professionals alike. It’s surely one of the best router tools this century. 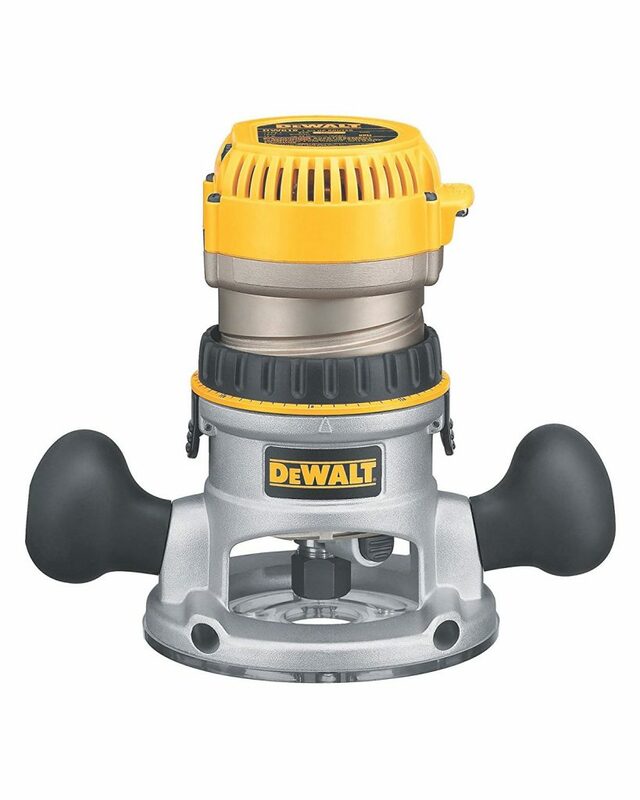 The Dewalt DWP611PK router falls under the laminate trimmer category. The two bases have elevated its status in the industry, especially since the transition is seamless. I mean who wouldn’t appreciate getting the value of two at a bargain basement price? Truth be told, most woodworking is done in the garage right? Most of which have poor lighting, well unless yours has a window. If you’re in this boat, you’ll appreciate the LED light this router has. Now you can work even in dark rooms. The soft start motor features variable speed ability. What’s the importance you ask? Not only are you able to match speed to wood type, you are allowed a slight pause to build the momentum. Now never before have I come across contoured solid grips on small sized routers that could beat the ones in this router. They are placed down below giving you a better position to manipulate it. I’m sure if you are a novice you would gravitate towards routers that have capitalized on safety. On that note, this router has a secure depth locking adjustment that will not cave in from the pressure of pressing too hard. To add onto this shebang, this router is such a lightweight despite having both a plunge and a fixed base. Talk of top notch control and balance. Albeit strong, the aluminum grips could leave your hands all sweaty. The two bases make this router very diverse in its use. Looking to laminate trim or veneer? Consider it done. The Porter Cable 690LR router has made serious inroads in the industry owing to its convenient features at an economical price. I always say the motor's specs is everything for the performance of any router, and I hope you'll agree with me. How much horsepower? Does it give you time before peaking up speed? This particular one features an 11-amp motor with enough power to mill through almost all types of wood. It’s engineered with aluminum giving it a rugged feel and polished look. If you’ve been around the wood routing scene you’ll agree that this is definitely an added bonus. Other than the striking look, the material used is durable. It has invested in a cam-lock lever. Well seeing as this is a fixed-base router, the cut depth aka bit height needs to be adjusted using a crank, handle or knob. This router has gone a step further to have a cam-lock mechanism to ensure the bit height set is securely locked and cannot snap. Ever heard the saying too much of anything is poisonous? Well seems like the cam-lock mechanism is so efficient that it is hard to adjust the height. Looking for a router that beats the price/performance barrier? This is the way to go. It’s the best router for the money. These days Black & Decker are virtually everywhere. If it’s not a coffee maker or garden tools it is some kind of kitchen appliance. It comes as no surprise that they have set roots in woodwork tools too. It doesn’t take a genius to decipher they have large economies of scale and can deliver quality at a bargain. With a whopping 10-Amp motor, the sky is the limit when it comes to plunging wood. Hard or soft, skinny or chubby, all will bow down to the milling capabilities of this router’s motor. It comes with a quarter inch collet and wrench as well as an adjustable parallel edge guide. This comes in handy when setting up to mill. The plunge router is a gem for interior decorating. It also allows cutting from the center of the work material. A feature that not so many routers boast of. Then comes the soft start function we all love and adore. The gradual ramping allows greater control consequently resulting to more precise results. As I said before Black & Decker is a very established company. As such it prides itself on exceptional customer service. Day or night they will answer whatever question you have about your router. Some users have been up in arms claiming that the plunge shafts are loose as a goose and will not cut straight. 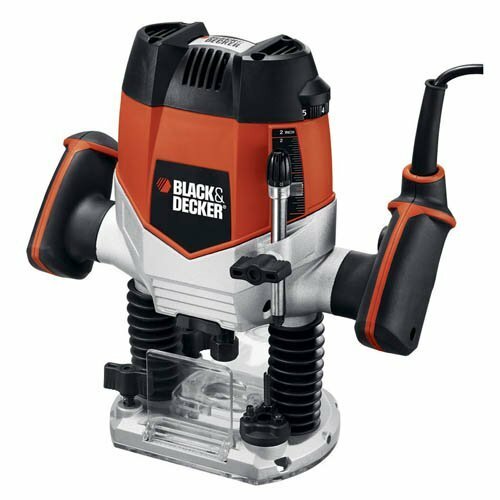 If you’re in need for moderate to heavy wood work shaping and profiling, give Black & Decker a try. The design lingo of the Makita RT0701C palm router is sleek compact and comfortable. It has a striking build with a teal-blue top, black rubber grips, and a silvery aluminum body. To top this off the features are super convenient. Take a look. The slim and ergonomically design it has accords you an increased level of comfort while all the while giving you total control of the strokes you can make. It’s also highly visible which is key for any palm router. This router can wither many storms with its very durable aluminum housing. That said, it wouldn’t hurt to take good care of it, clean it and keep it away from dusty areas. You know what’s even better than durability? Performance! 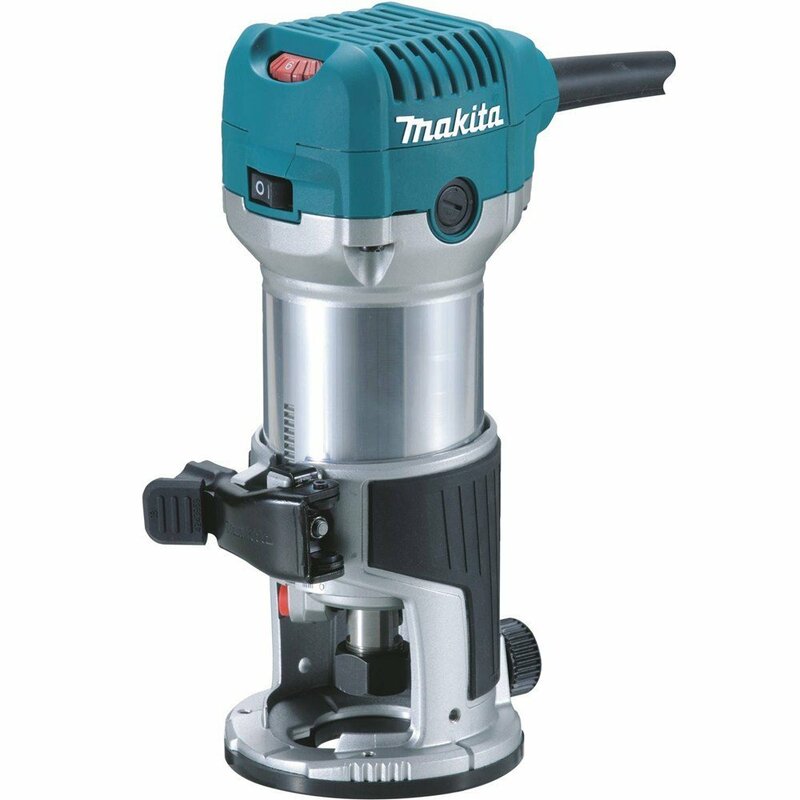 Makita’s motor is not only of variable speed but also has a soft start. That means you can match speed to application and all this will be at a smooth gradual start. The easy to read depth scales coupled with fast release cam lock system makes depth adjustment and base installation/removal a walk in the park. The only fault a few folks cited is its round base. It’s been said to wobble on the edge while undertaking trim work, especially when not paying close attention. This router is ideal for dovetailing as well as small profile routing. Any woodwork weekend hobbyist will appreciate having it in their toolbox. 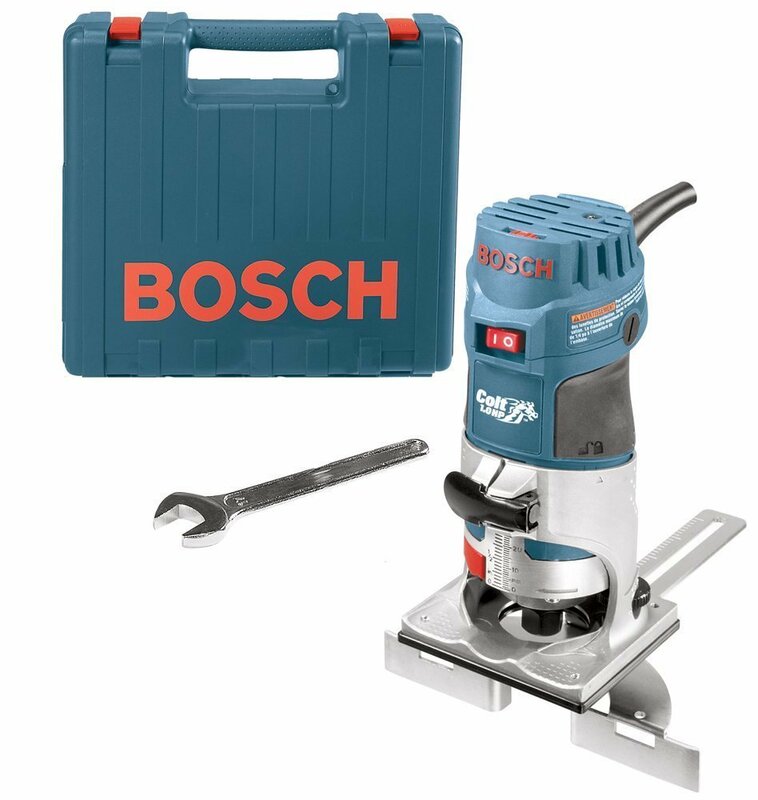 Guess what, despite the tiny make of the Bosch PR20EVSK router, it has managed to be the second best selling wood router. That goes to show bigger isn’t always better in the wood routing business. They may bear the name trim routers but the capabilities are beyond small-scale wood working. This lightweight packs a big punch in motor performance. The variable speed allows you to dabble in a variety of wood types without fretting about causing damage to your router. 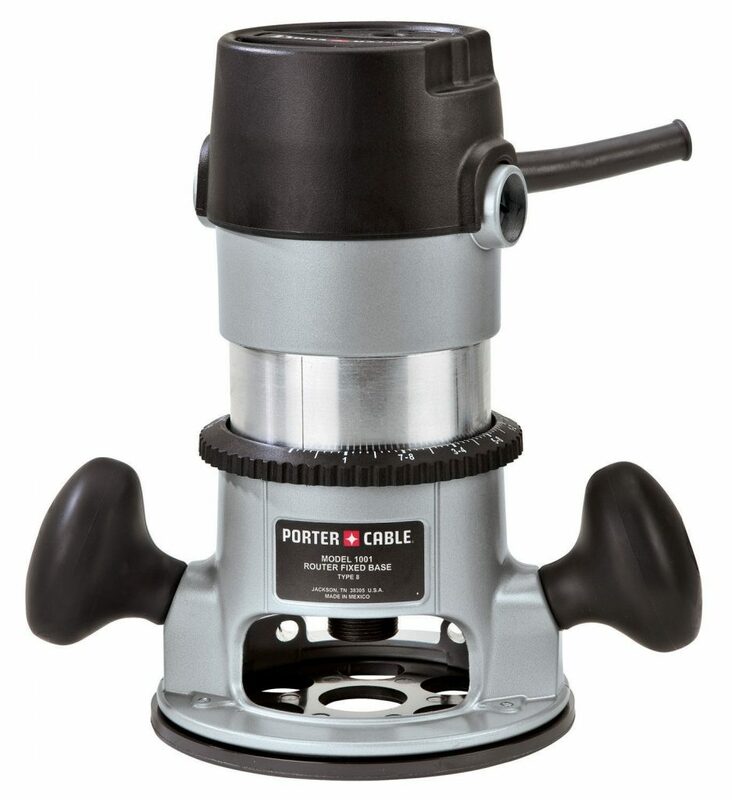 It has a soft start feature that minimizes torque produced when the router is geared to start. This will help to prevent an instant speed overload before you are ready to handle it. I kid you not; this router can be held with just one hand. And no it won’t slip off; the finger support pockets ensure maximum stability. This, therefore, means you can manipulate the router to those hard to reach areas with ease. Especially since the vibration on the arm will be vastly reduced. The depth adjustment feature doesn't hurt either. I don't know about you but I always welcome any opportunity to be in control. With this feature, you are in the driver’s seat of the depth of any cut. No accidental press will prove otherwise. Upon reading reviews, I stumbled across one that claimed after just 5 minutes of usage sparks started to fly put the housing. Another also asserted a piece broke off after two months of use. So maybe the housing is not all that great? Or what’s your take? This s a great fit for any DIY wood worker. Or rather the few of us who have tiny hands. 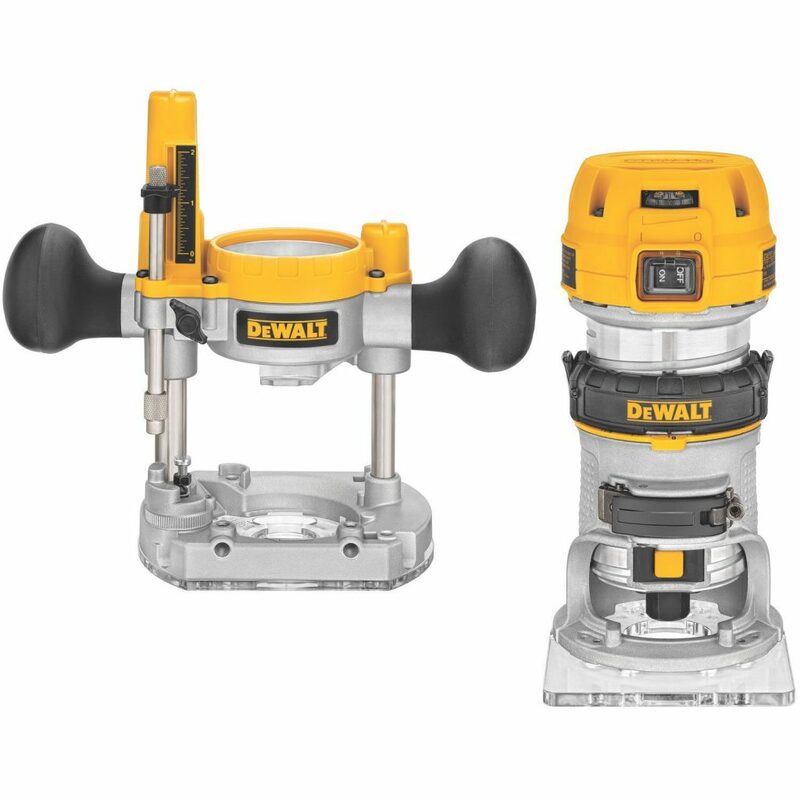 DEWALT have been around the block for a long time and are known for making good solid routers and the Dewalt DW618 router is certainly no exception. Everything points to the best fixed base router from the design to the performance. It has a soft start feature that ensures smooth sailing when powering up your router. This, in turn, translates to even cuts, especially when working with the toughest hardwoods. The adjustment depth ring is very specific and caters for up to 1/64 inch increment. The result? You can count on accurate measurements. Even better it has it has a steel motor cam lock mechanism to ensure the adjustments have been well locked. What of the motor specs you ask? 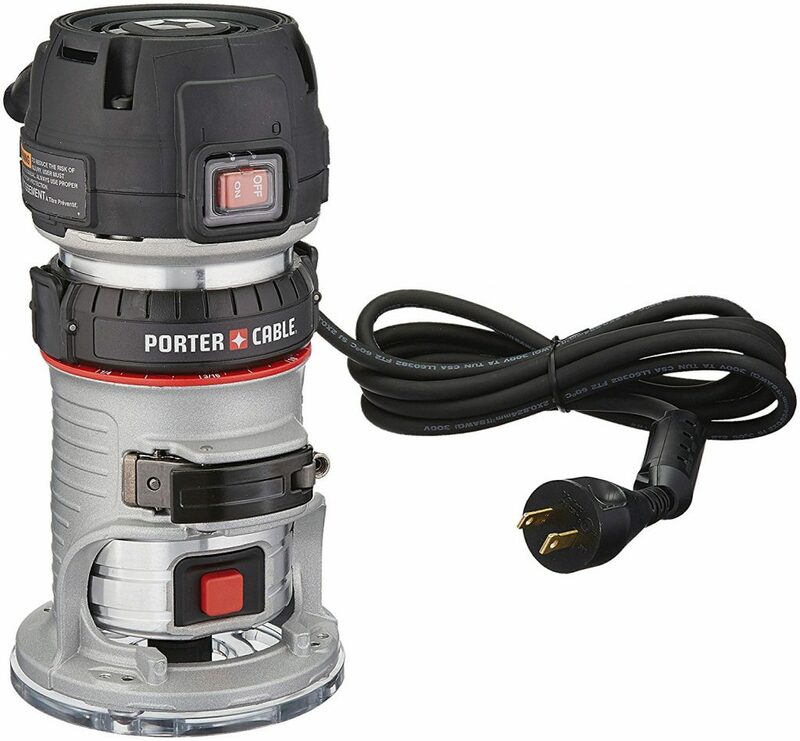 It has a 12-amp motor boasting of a wide range of variable speed (8,000 to 24,000 RPM). This means you are free to mill through almost all types of woods. For increased comfort and control, rubber handles and a well-balanced body has been incorporated. This essentially minimizes the risk of accidents. A few have claimed that you require Hercules like strength to push the pin in while tightening the collet. 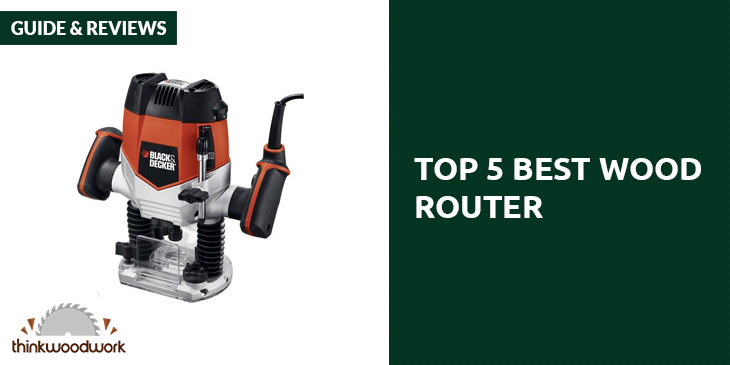 For a fixed base router, the performance is top of the line and offers smooth cuts. If in doubt read a couple of wood router reviews and I guarantee you’ll come to the same resolution. The advent of new technology seems to be suggesting smaller is better. We have seen slimmer phones, smaller laptops and now small sized router. Porter cable manufacturers have kept abreast with the times and delivered a small sized router that can deliver exceptional results. Stability has been achieved with the motors lock-in-position feature as well as depth ring and clamping mechanism. You can handle all the vibrations of routing without fretting about losing control. The routers housing is cased in aluminum. For those who are late to the party, this means that it’s not only aesthetically pleasing but durable as well. I particularly like that you can control it with just one hand. Even better, this lightweight has doubled down on convenience by investing in a long cable that allows you to move about easily. On the safety front, the motor has a soft start feature which allows you to get better control of the router before it picks up speed. The handles are made out of rubber for a better grip. It’s not all that versatile especially since it runs on only one fixed speed of 27,000 RPM. This plunge based router is up to the task of laminate edge trimming. 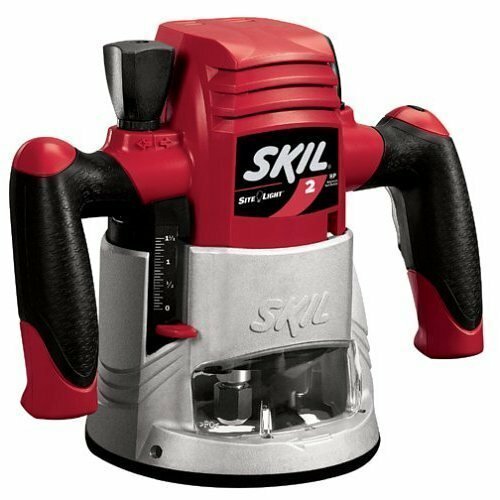 The SKIL manufacturers say that the SKIL 1815 Fixed Base Router is a top rated wood router tool. Let’s take a look at how true that is. Thanks to the micro-fine depth adjustment feature, bit depth adjustment is a piece of cake. It not only fast and easy but accurate as well. Its soft grips also deserve their due respect. They are ergonomically designed to achieve comfort and ease of use while routing. The base is wide and consequently more stable. If these features haven’t done it for you, the LED lighting system will bring it home. Even in dark rooms, the site light will illuminate an outline or a pattern to make certain your cuts is accurate. Quite handy, don’t you agree? It bummed me that the locking mechanism does not hold all that well. The depth adjustment tends to slip every so often. SKIL 1815 is more than capable of handling all your cutting trimming and edging needs. Bosch aims to build long lasting wood routers that can stand the test of time and still deliver quality. They seemed to have hit the jack pot with this one by investing in hard-wearing sturdy material. It boasts of a LED lighting system that's always on. You can now indulge in wood routing in dark rooms till the dead of night. It has incorporated all the standards for easy use. You have the soft start feature for gradual peaking of motor, then there are the rubber ergonomic grips that firm up your hold as well as variable speed. With its 12-amp motor and 2.3 hp, you will be more than ready to tackle any type of wood thrown your way. The plunge and fixed base is an added bonus in this regard. The router is not all that user friendly. It begs for a bit more expertise to be well handled and controlled. The weight is a whopping 25 pound. Buddy if you're not so sure of your upper body strength, kindly stay away or hit the gym (pun intended). 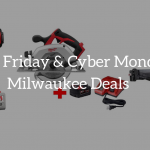 Are you in search of a heavy duty durable tool for your routing needs? I assure you. You could do a lot worse than this wood router. What to consider when purchasing a wood router? Soft start - Imagine ramping up your router and the thingy jerks out of your hand with no notice. Bummer, right? A soft start is not only important in helping you to get over routing fears for the first timers. It also slowly eases you to a tricky cut. There will be a slight pause after powering it up, then the router will slowly pick up pace. Variable Speed - Not all kinds of wood have the same feel. Some are soft like cedar and others are just plain old hard. Variable speed is necessary if you plan on plunging into various t﻿ypes of wood. Don’t get me wrong you can slip away with one speed but best believe you may end up damaging your router if that speed doesn’t match the type of wood. Horsepower - Now as much as higher horsepower accords you a greater cutting ability, it also comes with a heavier weight that's not so easy to handle. For this reason, only go for a higher horsepower if your routing needs really demand it. For light profiling, you will be better served with a horsepower below 2. Grips - Most folks dismiss this feature as only good for aesthetic purposes. If you fall under this faction, you couldn’t be more wrong. And I say that with utmost certainty. Keep in mind that this is the connection between you and your router. It should fit your hand to a tee. If not it could slip off and cause a terrible accident. 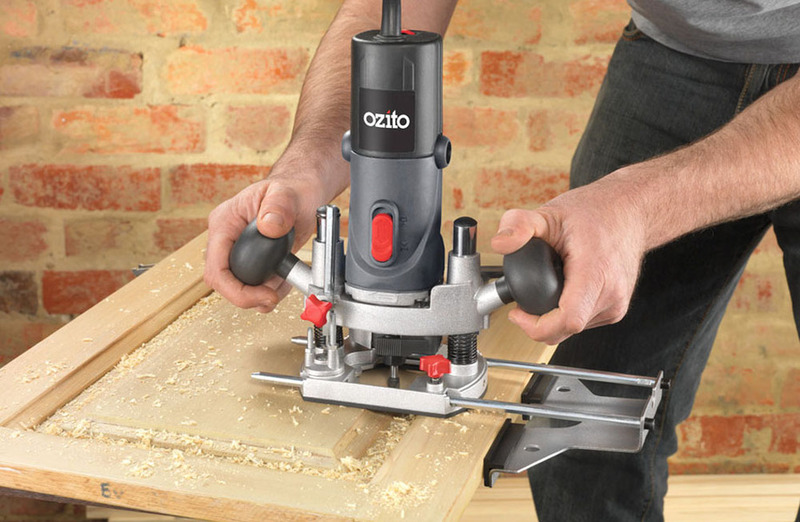 You’ll bear witness that there’s no single wood router can lay claim to being the best all round. Albeit some have more features than others they can’t carry out all the routing needs in the world. You need to pair a router with its use to draw the best results.